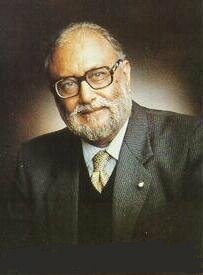 Dr Abdus Salam (1926-1996) died ten years ago. He was the first Pakistani to get a Nobel Prize in 1979. But he might be the last if we continue to allow our state to evolve in a way that frightens the rest of the world. Our collective psyche runs more to accepted ‘wisdom’ than to scientific inquiry; and even if we were to display an uncharacteristic outcropping of individual genius the world may be so frightened of it that it might not give us our deserts. We are scared of honouring Dr Salam because of our constitution which we have amended to declare his community as ‘non-Muslim’. When Dr Salam died in 1996 he had to be buried in Pakistan because he refused to give up his Pakistani nationality and acquire another that respected him more. But the Pakistani state was afraid of touching his dead body. He was therefore buried in Rabwa, the home town of his Ahmedi community whose name is also unacceptable to us and has been changed to Chenab Nagar by a state proclamation. But that was not the end of the story. After he was buried, the pious, law-abiding and constitution-loving people of Jhang, which is nearby, went over to Chenab Nagar to see if all had been done according to the constitutional provisions regarding the Ahmedi community to which he belonged. And what did the constitution say? It said that the Ahmedis are not Muslims, that they may not call themselves Muslims, nor say the kalima or use any of the symbols of Islam. The original amendments to the constitution were passed by Z A Bhutto, a ‘liberal socialist-democrat’, and subsequent tightening of the law was done by the great patriot General Zia-ul Haq. Thus both the civilians and the khakis had connived in the great betrayal of Dr Salam. After the great scientist was buried in Chenab Nagar, his tombstone said ‘Abdus Salam the First Muslim Nobel Laureate’. Needless to say, the police arrived with a magistrate and rubbed off the ‘Muslim’ part of the katba. Now the tombstone says: Abdus Salam the First Nobel Laureate. The magistrate remained unfazed by what he had done but Dr Salam’s grave is actually the tombstone of a Muslim culture that Pakistan had inherited from the founder of the nation, Quaid-e-Azam Muhammad Ali Jinnah. But ironies fly thick in Pakistan. In Jhang, for example, where Dr Salam grew up as a precocious child, the schools that he endowed with scholarships and grants now teach communal hatred rather than the love that he had in mind when he gave them his money. Meanwhile, the Ahmedi community is under daily pressure and anyone with a twisted mind is free to persecute them. Abdus Salam was born in Jhang in 1926. At the age of 14, he got the highest marks ever recorded for the Matriculation Examination in Punjab. The whole town turned out to welcome him. He won a scholarship to Government College, Lahore, and took his MA in 1946. In the same year he was awarded a scholarship to St. John’s College, Cambridge, where he took a BA (honours) with a double First in mathematics and physics in 1949. In 1950 he received the Smith’s Prize from Cambridge University for the most outstanding pre-doctoral contribution to physics. He also obtained a PhD in theoretical physics at Cambridge; his thesis, published in 1951, contained fundamental work in quantum electrodynamics which had already gained him an international reputation. In 1954 Dr Salam left his native country for a lectureship at Cambridge University. Before the Pakistani politicians apostatised him, he was a member of the Pakistan Atomic Energy Commission, a member of the Scientific Commission of Pakistan and Chief Scientific Adviser to the President from 1961 to 1974. Pakistan’s space research agency Suparco was created by him and it is only symbolic that a group of Shia workers of Suparco were put to death in Karachi in 2004 by sectarian terrorists. Like Dr Salam, a lot of gifted Shia doctors have had to leave Pakistan because of the state’s twisted policies. Dr Abdus Salam got his Nobel Prize for Physics in 1979. It was a most embarrassing moment for General Zia who had ‘supplemented’ the Second Amendment to the constitution with further comic disabilities against the Ahmedis. He had to welcome the great scientist and had to be seen with him on TV. Since the clerical part of his government was already bristling, he took care to clip those sections of Dr Salam’s speech where he had said the kalima or otherwise used an Islamic expression. It was Dr Salam’s good luck that one of the believers did not go to court under Zia’s own laws to get the country’s only Nobel laureate sent to prison for six months of rigorous imprisonment. Dr Salam then went to India where he was received with great fanfare. He had gone there to simply meet his primary school mathematics teacher who was still alive. When the two met, Dr Salam took off his Nobel medal and put it around the neck of his teacher.